Current Used Equipment Stock List. All used equipment is supplied with manufactures parts warranty. All prices shown subject to VAT and Delivery charges. 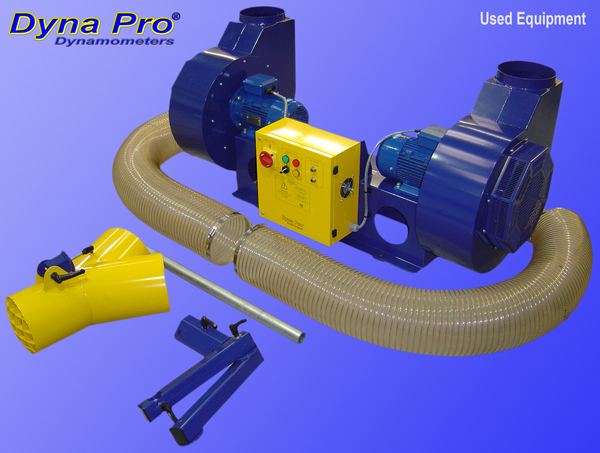 Dyna Pro Dynamometers is one of the first Dynamometer manufacturers in the world to develop a dedicated fully closed loop Ram-air simulation system for the motorcycle industry. Special high velocity / high volume variable speed fans with advanced control systems were developed to simulate the growing needs for engine tuners to be able to replicate the air velocity and air box intake pressures associated to reproduce real world riding conditions. This system allows the engine tuner to precisely map the fuelling requirement for any given speed and in any given gear. It also gives a quantified number for the effect that Forced Air Induction through the intake system has on real world Air/Fuel and Horsepower numbers. With Dyno Pro's advanced windows software, Dyna Run V3, setup of the RAM-Air System is simple and user friendly. In addition to the advantages of being able to simulate air box intake pressures, the system is also the perfect cooling system, With the ability to precisely cool any bike on test and with the addition of a water temperature sensor, the system will maintain the optimum engine temperature for extended periods of time, which is ideal for endurance testing and achieving consistent dyno results. 2 off High Temperature Flexible Hose 500°C, 150mm Diameters, 1.5 Meter Lengths. 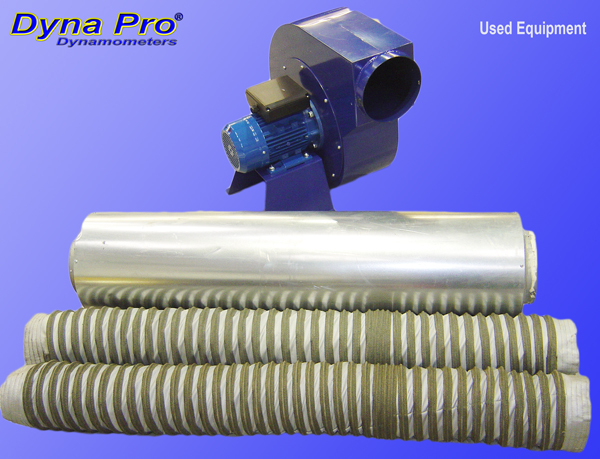 1 off Inline Exhaust Attenuators 200mm bore Diameters x 1200 Length.